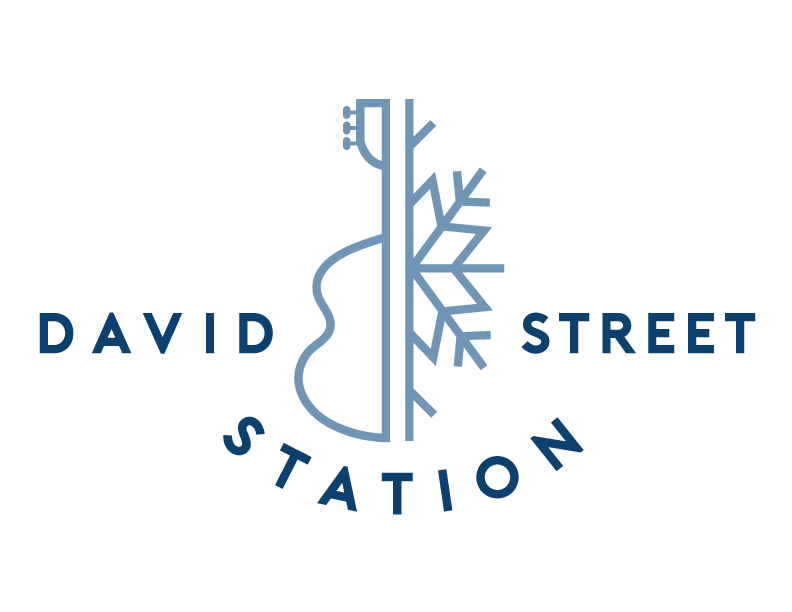 David Street Station was established with Casper’s most foundational principles – responsibility, hard work and camaraderie. As early as 2013, the Downtown Development Authority (DDA) Board had a vision for Casper’s downtown that would create generational change. This board, comprised entirely of volunteers, wanted to bring businesses, jobs and economic stimulus to the entire city via downtown growth by providing free activities for families in Casper. 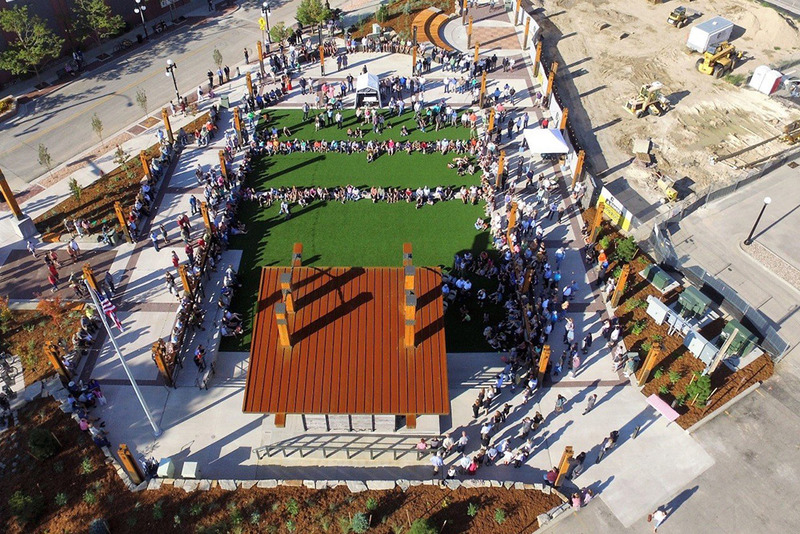 Inspired by Rapid City’s Main Street Square, the concept of David Street Station was developed as a central outdoor gathering place for Casper, with events and activities hosted here year-round. And admission would always be free. From the beginning, the DDA knew this initiative would be an uphill battle, and everything from funding to selecting a location proved to be a challenge. It was imperative to have the public’s support, because while some sponsorship would come from public funds, more than half of this project was going to be paid for by private donations. Casper has always been fiscally accountable, and David Street Station would be no different. Additionally, selecting a location in the middle of an already crowded downtown area would require the synchronization of many moving parts. There were several times throughout this process that DDA Executive Director Kevin Hawley and the Board felt that they had embarked on an impossible undertaking, but as late Casper personality and ardent David Street Station supporter Brian Scott said, “Casper always finds a way.” His community did not disappoint. The DDA was overwhelmed by the community’s generosity. 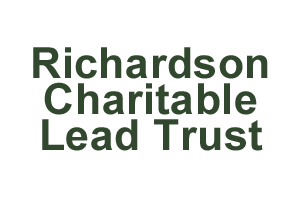 Donations from hundreds of families, residents, businesses and organizations ranged from a few dollars to a one million dollar endowment. Overall, Hawley and the Board raised $5.2 million in private donations in addition to $4 million in public funds. Thanks to the philanthropy from major donors like Doris McMurry, Hilltop National Bank, the Daniels Fund, the McMurry Foundation, First Interstate Bank, the Goodstein Foundation, Forward Casper and the Cercy family to anonymous contributors of $5 or $10, all of Casper came together to improve and grow their downtown. And we can all be fiercely proud of the results. Now operational and open to the public, nothing has changed. 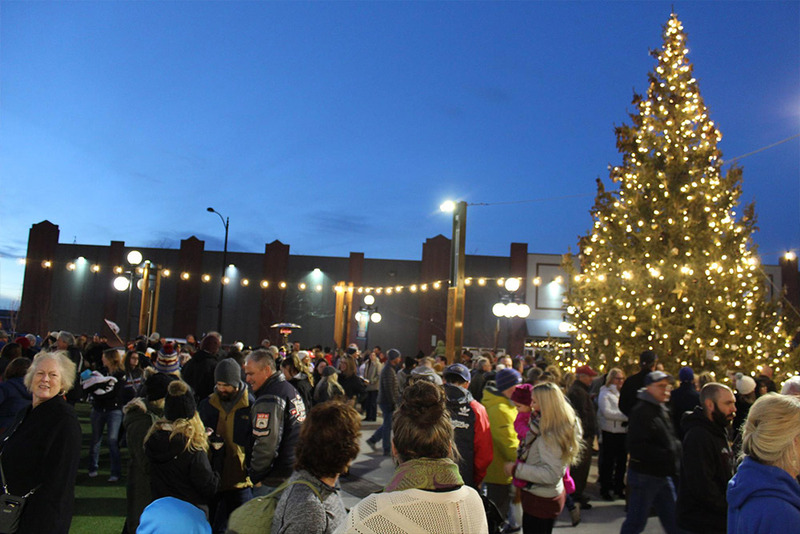 Within its first year, David Street Station welcomed thousands of visitors from all over the globe for the 2017 Eclipse Festival, hosted a free concert from country superstar Dylan Scott and was home to Casper’s first community Christmas tree. Every event was privately funded, and admission was always free. 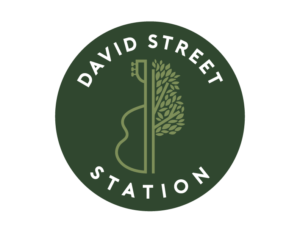 This project proved that when the unwavering hard work of several scrappy volunteers is matched with the generosity of our community, anything is possible, and the future of David Street Station, downtown and Casper is only going to get brighter. Phase 2 of David Street Station was completed June 1, 2018. It includes the new Hilltop National Bank Splash Pad which will become the Ice Rink in the winter months. The building includes restrooms, the skate rental offices, and an observation overlook. Thank you to all our donors who kept this project going. David Street Station is perfectly located to connect the Old Yellowstone District to Downtown Casper. Parking for David Street Station is available all around Downtown Casper. There’s plenty of parallel parking spaces on Old Yellowstone Highway, 2nd Street and South David Street. Also the Downtown Casper Parking Garage is free on Saturdays, Sundays and Holidays. More information on the parking garage can be found here. In the winter months, the Hilltop National Bank Splash Pad will convert to a public, outdoor ice skating rink. Patrons will be able to visit David Street Station and rent ice skates for an afternoon of fun for all ages. Visit David Street Station to see the massive community Christmas Tree and bask in the glow of the twinkling lights. Open Thursday & Friday 4 p.m. to 9 p.m.
Saturday & Sunday 12 p.m. to 9 p.m. 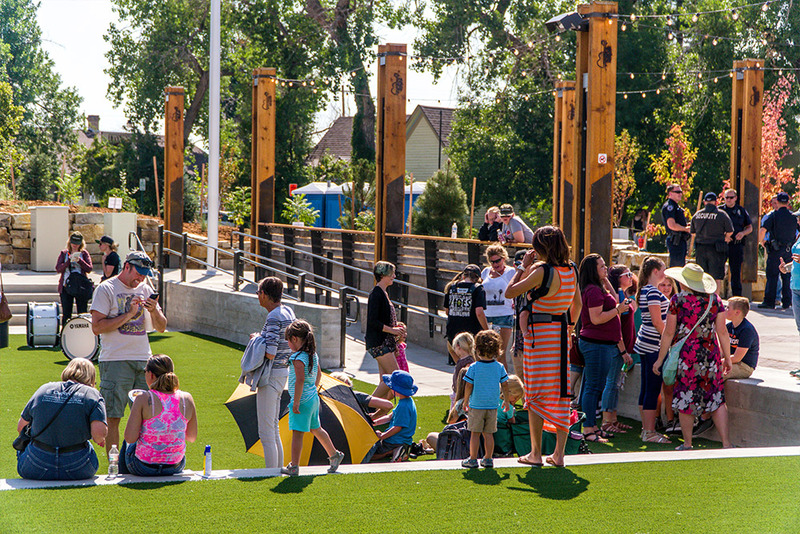 In the summertime, David Street Station flourishes with fun and festivities during Casper’s first Thursday Art Walks, free concerts in the band shell, vendors selling goods of all kinds — including food trucks and beer gardens, and more. 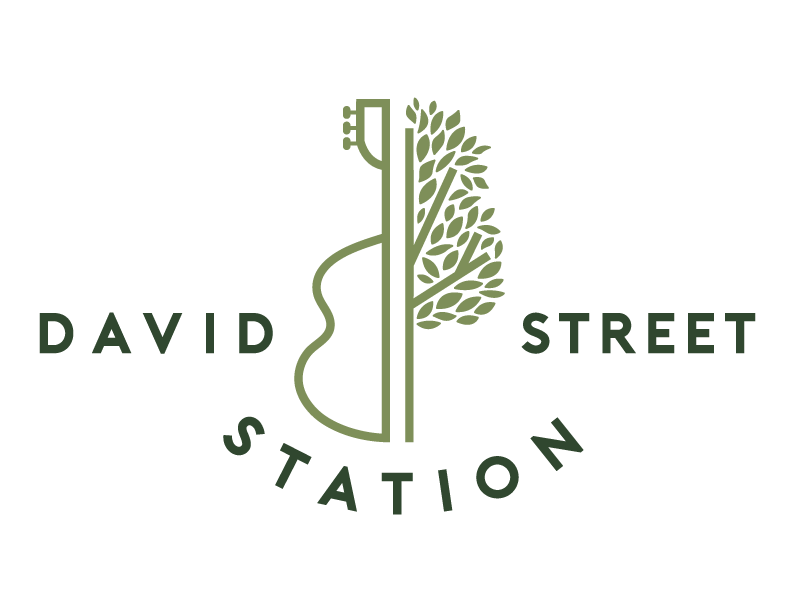 Every week there is something fun happening at David Street Station. 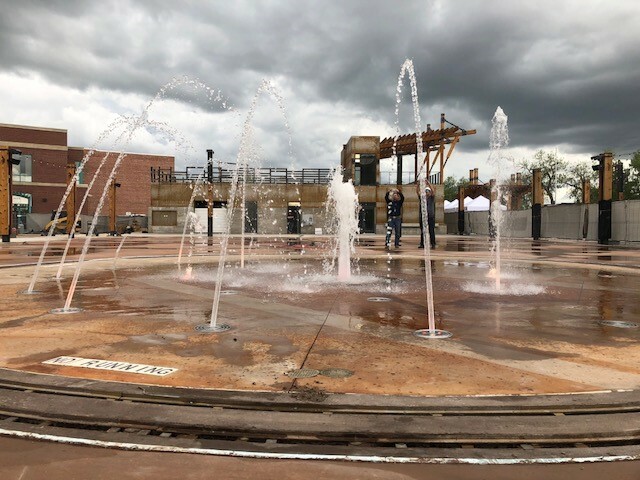 In the warm months, visitors will be able to cool off and enjoy the Hilltop National Bank kid-friendly splash fountain pad for free!